How to fix Windows 10 Random Freezing issues. After the announcement of the Windows 10 OS, People started switching to Windows 10 from their old Windows OS. Almost everyone was happy while few were pointing out things they miss from their previous OS. But Windows 10 was by far the smoothest OS from Windows which looks great & performs amazingly well. But soon after the Windows 10 Anniversary update, Windows 10 freezing reports reached to the top. Microsoft is always working to fix minor freezes or lag while switching from Apps or on high CPU usage. However, Windows 10 isn’t the culprit everytime. Sometimes it’s your PC’s hardware or the Apps you have installed, causing frequent Windows 10 freezes. You can try out some of this methods to perform a system check before raising a support ticket in Windows forum. There are a lot of ways to fix freezing issue. You can try out the below-given tweaks one-by-one and check if it has fixed the issue. We would be more than happy to know which tweak worked for you. Feel free to drop your valuable comments in the discussion box below. If your computer’s processor is heating up a lot, it may be the reason for constant and periodic freezing. 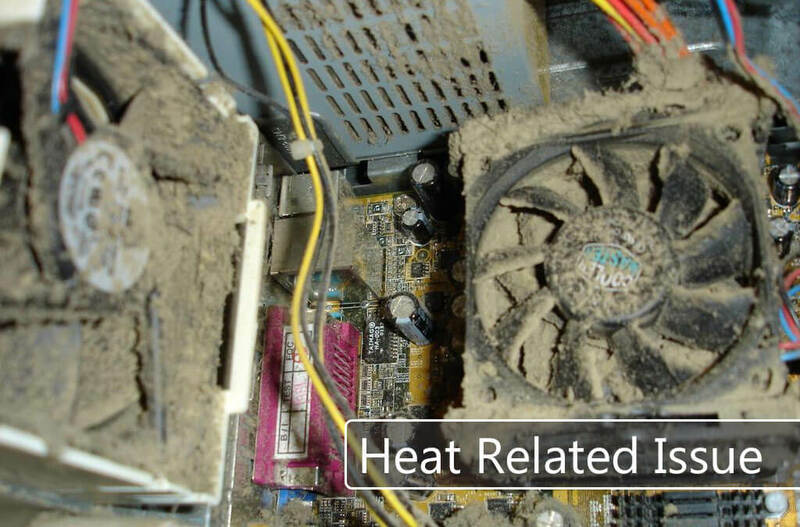 To ensure that your computer isn’t getting heated up, open up your cabinet and clean it up. Also, make sure that you clean the heat sink properly. Your processor should cool down by 40% after proper cleaning of the heat sink. Moreover, you can also clean your power supply and do proper cable management to ensure that there are no further heating issues to avoid Windows 10 freezes. This fix is most likely to work for people with Intel CPU. 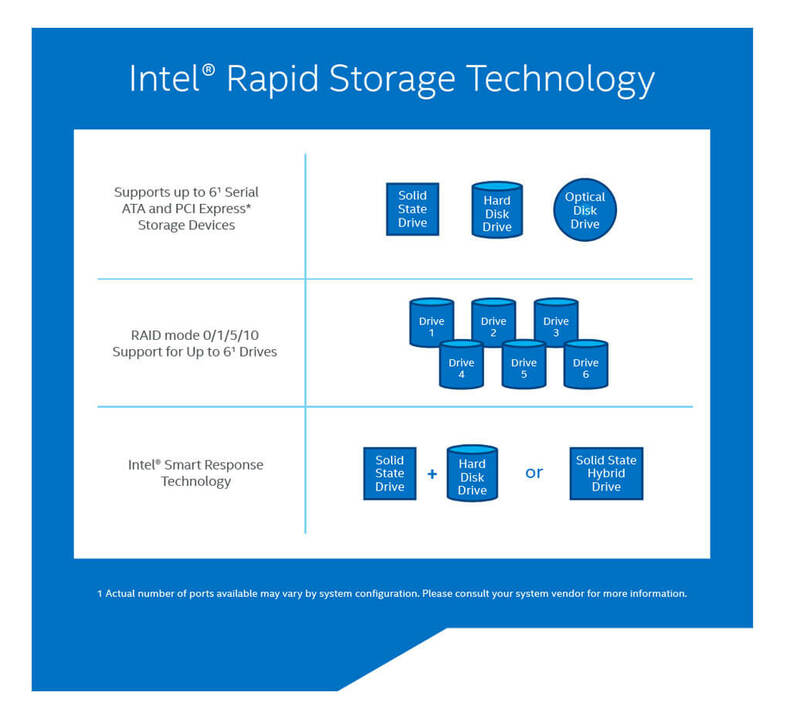 Intel’s Rapid Storage Technology is fundamentally used for creation and management of RAID performance, but it can also be used on single drives. While Windows 10 can natively handle this without the help of third-party drivers, some users have reported that installing this Intel driver has solved their freezing issue. To download this driver, you can go to Intel’s driver page from here and download the latest version. You can then install the driver on your computer following the installation process and restarting your computer. 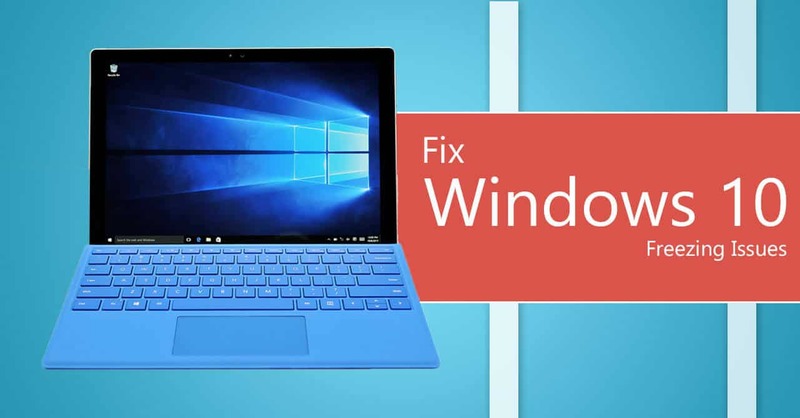 Also Read: How to fix various Windows 10 Privacy issues. Microsoft proposes that using an outdated Antivirus program can cause stuttering and freezing issues. It is advised that either you update your antivirus program or you can try uninstalling it. Either one of the options should work out for you. A majority of users have reported that by uninstalling their current Antivirus software, they are able to clear out the windows freezing issue. Tho your opinion may vary on this, but it’s worth a shot. 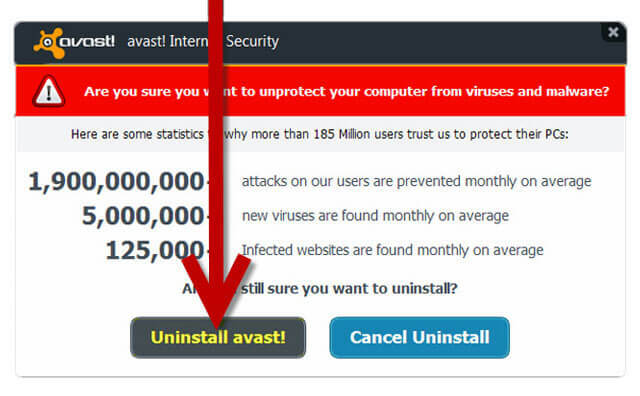 To uninstall your current Antivirus, Go to Control Panel -> Programs -> Uninstall/Change a program. You will be presented with a list of software that are currently installed on your system. Just select your Antivirus from the list and click Uninstall/Change. Follow the un-installation process and restart your computer. If the issue persists after this, you can just download the latest version of Antivirus from your preferred merchant and keep using it. Try downloading the latest version, it might clear out the issue. You can also checkout Appuals for different tips. These are just a few tweaks which you can try out until an official update is rolled out by Microsoft. These tweaks have been reportedly found working by 90% of the users who were facing windows freezing issue. It is worth giving a shot to each one of them to check whether any one of them works out for you. I’m pretty sure one of them will surely work out for you. You can, however, still wait for an official update by Microsoft, but who knows when it will be rolled out? Maybe a week, maybe a month? There’s no guarantee. It is better to fix the issue on your own rather than working on a buggy and freezing workstation waiting for an update. Also, if you have found an alternate solution to this freezing issue, feel free to drop it in the comments sections and I’ll add to the list once it’s reviewed and tested. Flying Taxis will be launched by mid-2017 in Dubai. It's a real-deal now!